Mayflower practices “shared ministry,” affirming that each member of this community is a minister both within and beyond the walls of the church by virtue of her or his baptism. We covenant with one another and with the wider United Church of Christ to walk together in this journey of faith. We agree to share the decision-making responsibilities of being a church, as well as the joy of serving in mission, side-by-side. Mayflower is governed by a nine-member Council who operate under a policy governance model. The Council sets broad goals and strategic priorities based on the mission and vision approved by the congregation. Council members represent the whole church (rather than a specific group or ministry). The day-to-day operations are overseen by the Leadership Team. To learn more about the Policy Governance Model, we recommend Governance and Ministry by Dan Hotchkiss. Full staff list here; biographies of our worship leaders here. Interested in serving on Council? Mayflower’s governance structure calls for visionary leaders and big-picture thinkers to serve as Council members. Are you interested in serving with a group that is charged with listening to the congregation and imagining our shared future? Download the Councilor position description or fill out the statement of interest. Interested in other leadership positions? The Council meets the fourth Tuesday of each month at 6:45 pm at the Church. Any member of Mayflower is welcome to attend and observe Council meetings. 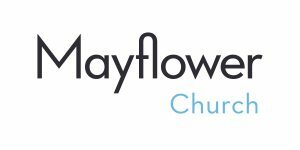 Council meeting minutes are available to any Mayflower member upon request. Contact the church office.